Age 43, is a founder and principal of MME Capital Management, LLC and is also founder and principal of M & M Private Lending Group LLC, a private lending company which is located in South Florida since October 2011. Michael’s focus at M&M is as the managing broker, and spends most of his time marketing, broker network management and placement of funds into the marketplace. From April 2005 through December 2009 he founded and served as principal broker for Developer Sales Group LLC, an interactive exclusive sales and marketing organization which focused on driving sales for real estate development. During such time he also established a local branch of Benchmark Mortgage. In 2009 he founded Plum Pads, LLC, a real estate firm specializing in rental and property management for developers, private investors, and asset managers during the real estate downturn. Mr. Internoscia continues to consult with developers, real estate brokerage firms and lending institutions. Michael graduated from Florida International University with a Bachelor of Science degree in Hospitality Management. He has an extensive background in the real estate industry and has worked with national developers, including but not limited to Pordes Residential, The Related Group, BNC Development, Brack Capital Real Estate, Sunvest Communities and Hallier Properties. He has been involved in private lending for over five years. 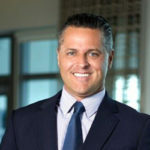 Michael is a licensed real estate broker and a licensed mortgage originator in the state of Florida (NMLS 864053). Additionally, he is a member of the National Association of Realtors, Florida Association of Realtors and is a certified REO manager through the Miami Board of Realtors. Loans are what we do. Start your application process today. We will walk you through every step of the way. Call today 305-899-2201 or contact us online by using our quick contact form. © 2011 M&M Private Lending Group LLC. All Rights Reserved.